Building Supplies Online has committed time and resources to look beyond its operations to support its community, in particular those who are much less fortunate, or find themselves in precarious situations. In line with its values and ethos, Building Supplies Online says it strives to be a good neighbour and proud supporter of its local community. Earlier in 2018 the company agreed a sponsorship package with Banbury Rugby Club, which also includes sharing its e-commerce expertise to support the club’s digital marketing activity. The company says it takes an equitable and sustainable approach to its charitable support by spreading its resources across a number of one-off projects, rather than one single charity. Building Supplies Online also encourages every employee to get involved in volunteering and supporting its charitable initiatives and is responsive to employees’ recommendations for assistance. Most projects fall within the four counties that the company considers its locality – Oxfordshire, Northamptonshire, Buckinghamshire and Warwickshire – but when it is involved further afield, usually there is a specific company connection. Following an employee’s nomination, Building Supplies Online teamed up with the British Army Training Unit Kenya (BATUK) and the BATUK Trust in late 2018. It provided donations to help over 80 children being cared for at the Centre for Extremely Deprived Children (CEDC) in Nanyuki, Kenya, as well as the 400 or more children living on the streets of Nanyuki. The causes that are reportedly closest to the company are those that fight disadvantage and marginalisation as well as those that promote equality and teamwork. The Tibbetts Angels distribute donations from local businesses to a range of Banbury charities who work with those in need, including Banbury Young Homelessness Project, Home Start and The Salvation Army. As a building materials company, Building Supplies Online is also able to offer help in a number of other ways. Whenever practical, it works with local groups and charities recycling cancelled orders and discontinued lines, to maximise benefit and reduce waste. 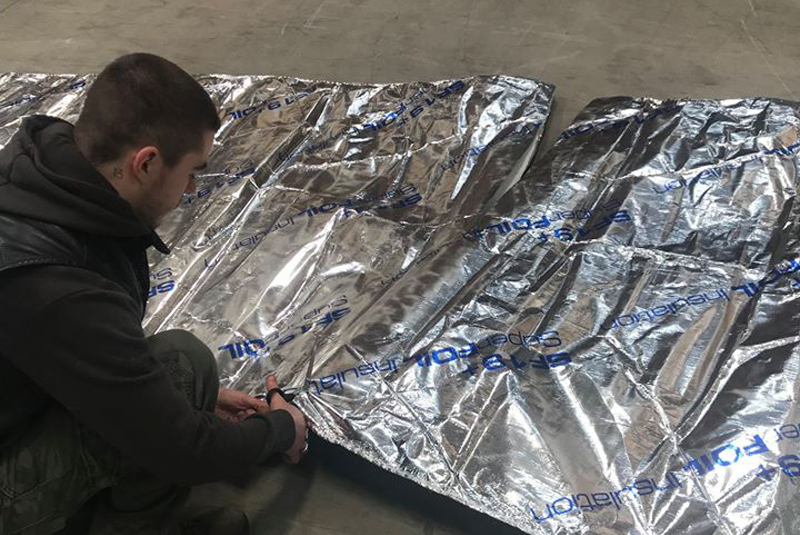 Paint was given to a local Scouts troop for their premises and, recently, insulation foil was repurposed by a homeless charity to provide insulated windproof and waterproof covers.